One of the easiest ways to transform a room is to change the blinds and window decoration. Whatever your budget, we offer exciting and creative solutions. Kingsley Carpets and Interiors have been making and fitting blinds for over 25 years so we have extensive experience in the industry. All our blinds are made to your exact requirements so you are free to choose exactly what you like. We offer a enormous choice of stunning colours, designs and fabrics to match any decor. Our experienced specialists are here to advise you and help you to select the perfect blinds for your home. Our full fitting and measuring service means you can be secure in the knowledge that you new blinds will fit perfectly. Roller blinds – This timeless classic achieves a minimalist modern look while also giving you great control over the light entering a room. Easy to clean and maintain makes them ideal in kitchens and bathroom. While today’s contemporary designs makes them a great choice for any room. Roman blinds – Made from soft fold fabrics with a wide choice of colours and designs. Roman blinds offer an understated elegance to any room. Vertical blinds – Elegant and easy to drawn back neatly to the side. The louvers can be rotated through 180o this means that you have control over the direct sun while maintaining a light and airy ambiance. Pleated blinds – An attractive and versatile alternative. Slim top and bottom rails means that they draw up to the top of the window very neatly when not required. 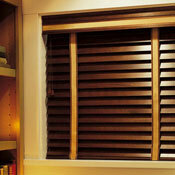 Many pleated blinds offer an energy saving thermal or solar protective coating. This makes them an ideal choice in a conservatory or garden room to reduce heat loss in winter and mimimse overheating in the summer. Venetian blinds – A modern classic. The thin slats can be tilted to offer privacy or block direct sun light while allowing ample natural light into the room. Choose wood for a traditional look or aluminium in a wide range of colours. Try our perfect fit blinds, no drilling, simple to fit, no mess. Competitive pricing policy, expert fitting backed by an excellent after sales service. Perfect blinds without compromise. We offer a free, no obligation, choose at home service. This means that we can measure up and show you a wide range of samples allowing you to plan and price your blinds and other interior soft furnishings. All this is done in the comfort of your home at your convenience allowing you to choose the best blinds for your home efficiently with the minimum of fuss. Or you can visit us in our showrooms in Frodsham or Northwich. Velux started over 70 years ago with a passion for daylight, fresh air and better living environments. They offer a stunning range of blinds for pitch and flat roof windows, including blackout blinds and thermal insulating blinds. Styles include roman, pleated, venetian and roller blinds. Eclipse has over 45 years experience of delivering high quality service in the UK. Based near Glasgow, the company occupies an impressive 14 acre site. Eclipse are proud to boast that over 60% of its fabric manufacturing is completely made in the UK. Working with their weaving partner in West Yorkshire they bring exclusive fabric textures, designs, patterns and colours in roller, vertical and pleated fabric lines. 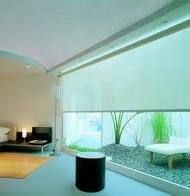 Louvolite is an independent British company that designs, manufactures and distributes window blinds systems and fabrics. It is recognised throughout the world as a company dedicated to innovation and quality. As a major UK manufacturer, Louvolite takes its environmental responsibilities seriously and is dedicated to using environmentally friendly practices. Whichever fabric or system you select, rest assured that it will reflect only the very best of British design and manufacturing principles. Locally based in Cannock, Staffordshire, Sunflex has over 40 years experience. They are a leading supplier of curtain track, poles, blinds and accessories and offer a large selection of window fashion products. Locally situated in Lancashire Hamony specialise in a comprehensive range of products, using only the best quality systems and hardware. Established for 30 years, they have built up a reputation for an efficient, quality service of purely made-to-measure window blinds. Crafting the window treatments for over 60 years. Luxaflex® offers you a complete range of exclusive, custom-made window treatments. The range includes their revolutionary new system that automatically moves your shades throughout the day, so you don’t have to! A beautiful range of colours and styles together with great prices.